Co-Founder & Executive Vice President, TeamLease Services Ltd.
Ms. Ritu is an industry veteran with 17 years of experience. 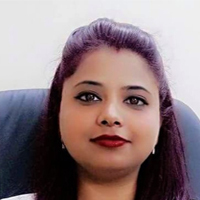 In TeamLease, which is India’s largest and foremost people supply chain company, she has played a significant role in transforming TeamLease over the last decade into an over Rs 3000 crore company. 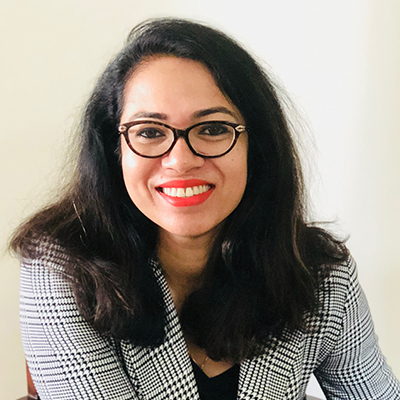 She is currently spearheading TeamLease’s Staffing business vertical as well as India’s first PPP Apprenticeship Programme – National Employability through Apprenticeship Programme (NETAP) and has nurtured growth across Employment and Employability aspects of the business. As the President of ISF which is a conglomerate of Staffing industry stalwarts, she actively promotes growth of the Industry and strategizes to initiate amendments to the regulatory framework that govern labour workforce in India. She has represented the Employers of India in the last held ILO Convention on Private Employment Agencies in Geneva in her capacity as Employer representative from India. She has also worked with Industry leaders like Monster and India Life Hewitt establishing their footprints in India. She became the first Indian to be featured in Global Power 100 & International 50 in Staffing Industry for 2015 and 2016 consecutively. She was also selected as the Telstra Business Woman of the Year Asia for 2016 in Melbourne recently. She is an eternal people optimist and a sales person at heart who enjoys interacting with people and building lasting relationships. She as multi-faceted in her personal life as she is professionally – She is a fitness freak, a movie buff, enjoys writing columns and dabbles in Photography! Ritu is an Economics Graduate from the Benaras Hindu University and holds an MBA from the prestigious Goa Institute of Management. Mr.R.P Yadav is a B.Sc from Calcutta University; MBA (Marketing) from IISWBM, Kolkata and MIMA, Lead Auditor for ISO-9001:2000 from London, IRCA. 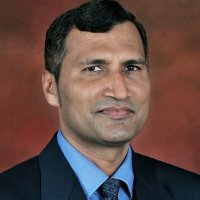 He has a vast experience of 16 years in reputed Companies like Johnson and Johnson, Jai Engineering Limited, HCL, Business Forms Limited. He has handled portfolios for Sales & Marketing and has been positioned as General Manager & Profit Centre Head in these companies. Mr.Yadav is the founder of Genius Consultants Ltd and is currently engaged at the capacity of Chairman & Managing Director of the Company. Mr. Yadav has been Ex- Chairman of Indian Society for Training & Development (ISTD) Kolkata Chapter and also been an Ex – Chairman of Executive Recruiters Association (ERA). Mr. Azmi currently work in the capacity of CMD, Futurz Staffing Solutions India. He come with over a decade of work experience across the Recruitment and Staffing space. 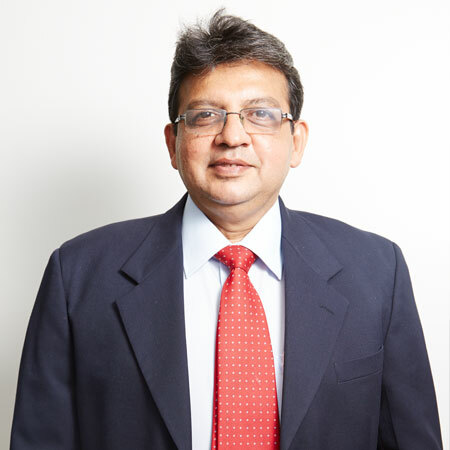 During this period, he have earnestly been contributing towards the evolution of the staffing sector with active memberships in YPO, FICCI and REC; and previous memberships with ERA. In 2005, Mr. Azmi started “Futurz Human Resources Solutions Pvt.Ltd.” There were lots of ups and downs when FUTURZ started its operations 7 years ago. The company even withered the great recession in 2009 which led to the closure of many consultancies. Amidst all this FUTURZ stood still and emerged as a survivor with Farhan’s leadership, who always believed that a company should be system and not people centric. In Farhan’s leadership, FUTURZ grew from a 3 employee team in 2005, to a team which is 100 strong currently and having more than 8000 associates on its payrolls. Mr. Shah is the Co-Founder and Managing Director of Collabera’s International Business and US Business Process Outsourcing division. 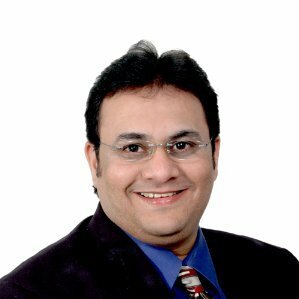 Mr. Shah through his aggressive, customer-driven focus on Fortune 100 clients has contributed in steering the company to its present size of over 35 offices, operations in 3 continents and more than 12000 employees globally. Built the fastest growing IT staffing company in India and APAC with over 6000 people in just 6 years. Mehul has been instrumental in shaping the company’s vision and strategy for Professional Services and Business Process Outsourcing for entire Collabera Group of Companies. 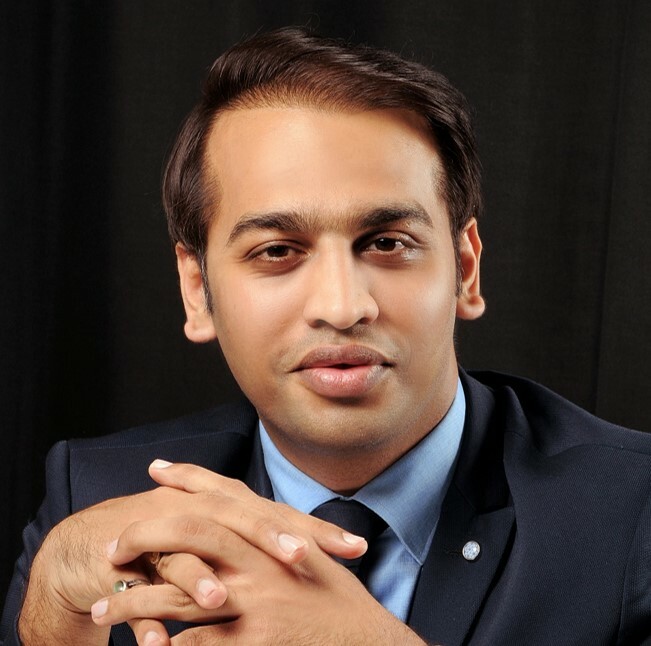 Through Mehul’s contribution, Collabera has also won through the years, numerous other awards recognized by International Association of Outsourcing Professionals (IAOP), Staffing Industry Analyst’s awards for 5 consecutive years, Fintech100, DiversityBusiness.com, InformationWeek, Software Magazine, New York/New Jersey Minority Business Council, National Minority Supplier Development Council (NMSDC), United States Pan Asian American Chamber of Commerce (USPAACC), GESIA awards for 3 years in a row and more. Mr. Narayan Bhargava is a Chartered Accountant and Cost Accountant of 1979 batch. In the year 1979 there were very few people who would pass both the examination simultaneously and therefore he had offers from two blue chip companies of that time namely Hindustan Liver and Philips but he declined to accept the offer and pursue the path of entrepreneurship. He therefore made a modest beginning by starting his CA firm called N. S. Bhargava & Co , Chartered Accounts with just a peon to help him and with practically no capital. The beginning was very tough and challenging as opportunities were less and people were not willing to hand over their financial matters to a young man of 25 years. In the year 1990 he ventured in to computer field by starting Shell Transource Ltd with just 5 persons and ventured in to what is now called BPO. He was one of the early ones to start a domestic BPO and he is a pioneer in domestic BPO industry. Shell Transource today employs over 6000 people. In the year 2005 to support the BPO operations he started logistic company called Shell Express Logistics Pvt ltd which today employs about 500 people. In the year 2007 he started Calibehr Human Capital services Pvt ltd. which is a temping and recruitment firm and has more than 3000 persons as temping staff and also acquired an international BPO called Vital link Outsourcing which is based in Pune and serves only international clients. He has single handedly created the group from one employee to start with, which now employs about 9000 persons. 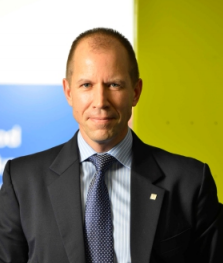 A global leader with a commendable track record in hands-on business growth and organizational transformation management, Mr. Dupuis is currently the Managing Director and Chief Executive Officer of Randstad India, the country’s leading HR services organization. Mr. Dupuis has over 24 years of professional experience in Asia across Japan, Singapore, Hong Kong & Korea. His extensive industry experience and network has been gained from handling key leadership roles in recruitment,strategic planning and business development, spanning renowned organizations. Prior to joining Randstad India, Mr. Dupuis served as the Managing Director of Professionals (Search & Selection), Engineers (temp & perm), RPO and GCS of Randstad Japan from 2013, where he was inducted as a board member in 2014. In this strategic role, his main task was to transform Japan operations from a pure-play staffing firm to an OpCo with total solution offerings, with sustainable profitability. Randstad Japan was well recognized under Paul’s leadership, his teams have achieved impressive results and they continue on an ambitious growth path. In the past, Mr. Dupuis has also had successful stints as Head of APAC for a mid-sized recruitment firm where he successfully launched organic start-ups across several countries in Asia, and led M&A in the region including India. 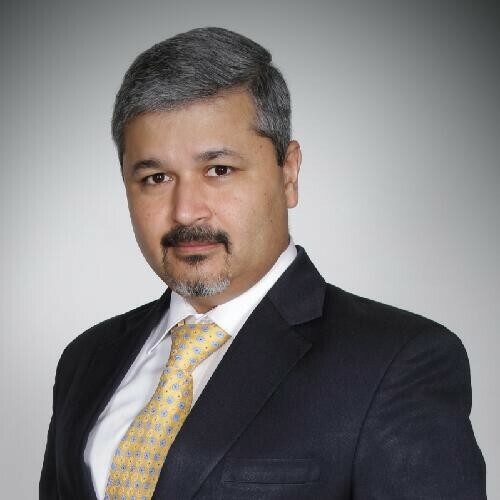 Mr. Thammaiah is the Managing Director at Kelly Services India, leading Kelly India’s Staffing business. Thammaiah has been a successful professional with Kelly for the last 5 plus years earlier heading the Professionals & Technical Business. Recruitment industry via Ma Foi. He was initially part of Ma Foi’s Outsourcing & Consulting Business and later managed their recruitment business in different roles including the Randstad Phase. Thammaiah has strengths in Strategy, Execution and has demonstrated significant growth in the business he ran. With stable tenures in reputed Multinationals he has led teams successfully across the country.